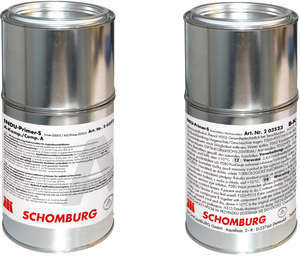 Two component, solvent-based epoxy resin. Very good adhesion to porous substrates. Very good resistance to moisture, various solvents, acids and bases. Used as an adhesion promoting primer treatment for absorbent contact areas such as e.g. concrete, cement-based screeds, granite pavers for the sealants INDUFLEX-PS, INDUFLEX-PU and INDUFLEX-MS.